“Substance abuse, particularly of alcohol and prescription drugs, among adults 60 and older is one of the fastest growing health problems facing the country. Yet, even as the number of older adults suffering from these disorders climbs, the situation remains underestimated, underiidentified, under diagnosed, and under-treated. 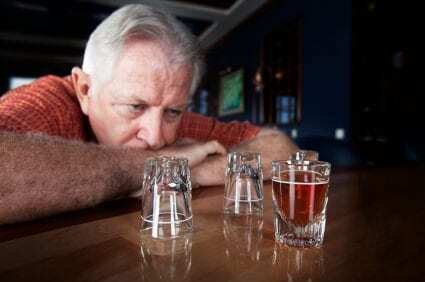 It will be increasingly difficult for older adults’ substance abuse to remain a hidden problem as the demographic bulge known as the Baby Boom approaches old age early in the next century. Census estimates predict that 1994’s older adult population of 33 million will more than double to 80 million by 2050 (Spencer, 1989; U. S. Bureau of the Census, 1996). Most of that growth will occur between 2010 and 2030, when the number of adults over 65 will grow by an average of 2.8 percent annually (U. S. Bureau of the Census, 1996). In 1990, 13 percent of Americans were over 65; by 2030, that bloc will represent 21 percent of the population (U. S. Bureaus of the Census, 1996). The demographic increases among older adults are summarized below and in Figure 1-1. As the senior population continues to grow and live longer these lifestyle choices will be a huge burden on medical programs and an already burdened U.S. health care system. Due to little expose about this growing epidemic, a lack of awareness and resources could force this into a larger issue. If you know any seniors that may be abusing alcohol or superscription pills please help them find the proper care and support.